The Man is playing politics when Franklin just wants to play footy. Not the first question he was expecting at the grand final parade. "It's the first I've heard about it. Personally I think it's a bit stupid." And with that, Buddy Franklin swatted away the suggestion that AFL players should boycott the national anthem at the grand final this weekend, much as many American sportsmen and women have refused to stand for the U.S. anthem at various sporting contests in America recently, in protest over police killing unarmed civilians. The suggestion came from boxer Anthony Mundine, who said players should kneel during the playing of Advance Australia Fair at the MCG on Saturday and at ANZ Stadium in Sydney on Sunday before the NRL grand final -- in protest against racial inequality. But Franklin, who like Mundine has indigenous heritage, was having no part of that. "It's the Australian national anthem. It's part of our sport and our history," the Sydney Swans power forward said at the traditional grand final parade in Melbourne. 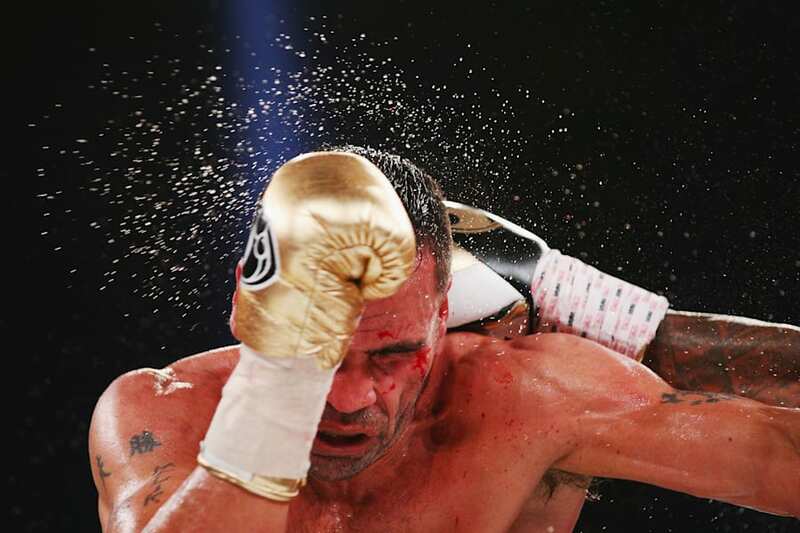 Metaphorically, Buddy just did this to Mundine. Mundine fired back, as Mundine generally does. "He's thinking for the system and not thinking for his people and his heritage and his ancestry, and the dark history of what happened to his people," he said of Franklin. "The Australian anthem was written at a time in the late '80s when Aboriginal people weren't even considered human beings. If you research enough, you'll find there's five verses not two and basically its about Britain's superiority, the invasion, Captain Cook claiming the land. "I just feel it ain't right, if we're going to make change for the better, especially if we want the people of Australia to move forward as one, as people, then it's got to start with the flag and the anthem. They're the two iconic things we've got." But support has been hard to find from any corner for Mundine this Friday. Newly elected MP Linda Burney, who is also an indigenous Australian, told Sydney radio station 2GB that "I think Anthony is wonderful, I really do, I admire him enormously but I am not sure that expecting people not to sing the national anthem gets us very far in terms of relationships". And Prime Minister Malcolm Turnbull got on Radio 3AW to say: "The two big codes, the NRL and AFL work hard to be inclusive and embrace modern Australia and all of its diversity. This is a time when we all come together."